As a Southern California girl, my life was filled with fun and a love of nature. Spending countless hours of beach-time in the sun gave me a unique start in life. Between the sun, having access to the best fruits and veggies in the world, and a loving family, I was blessed with emotional balance that encouraged a health-centered life. I realized very early that nothing un-natural could ever compare. This is who I am, and I'm thankful that I was able to reap the benefits of such a wonderful upbringing. Even though I've moved to the opposite side of the country, I've taken what I learned with me and now try to live as clean of a life as possible, always turning to God's natural methods of healing first. My belief is that we are natural beings, and therefore natural remedies work best. Whether it's diet, housekeeping, or grooming, I always seek out natural options first. As a child I suffered from allergies and even asthma. In later years I realized it was mostly from the processed food and un-natural medicines that I was given as a child. I know this because once I switched to all-natural, I became well and I now feel better than ever. In the late 90's I could see the future of the internet and wanted to share my all-natural beliefs with others through this new medium. The best way to do that was by having my own website. While I had absolutely no experience whatsoever with computers, I was bound and determined to learn how to build my own website. I needed a platform, a place where I could control my message and invite other like-minded people to join me in the endeavor. Over the years, things have unfolded to reveal that my instincts were right. All-Natural Beauty and Wellness has caught on in a big way, and so has the internet. The domains that I've registered have served me very well. Most of all, I took control of getting my message out in my own way and in my own time. I won't kid you, there were many times where I felt like a mouse hitting my head against the wall, over and over again. But it was well worth it. I'm happy to be here more than fifteen years later, celebrating all-natural beauty and wellness, and being a hub for professionals and non-professionals alike that want to have an online presence. If you're looking to bring what you offer to the world, Organic Web Care can help you do it. We offer everything you need to succeed. My advice is to start on paper with ideas for the name of your website and business. 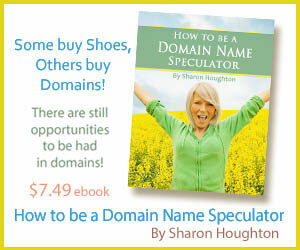 It's an important consideration and you'll need to know that the matching domain is available. Once you're ready, you can easily do a Domain Search. Once you have the perfect domain, choose an easy-to-use web building tool like 'Website Builder'. If this had been available back when I first started working on my site it would have been created MUCH sooner, and I would have spent far less time trying to figure things out. Once you set up your website you'll find that we have marketing tools, webmail, online calendars and many additional ways to help you. You're not alone, we offer wonderful phone support, email support as well as an online support form you can fill out. We're here to serve your web care needs... every day, all day long. Having a website has never been easier, and it's something that I highly recommend.